Super Smash Bros Ultimate brings 74 iconic characters as part of its roster. And with so many characters to choose from, many of which are completely new to the series, we figured we’d put together character guides on the lot of them. In this Super Smash Bros Ultimate Pokemon Trainer Guide, we’re focusing on Pokemon Trainer, and all of their Pokemon of course. We’ll detail the changes since their last appearance, and take a look at their Final Smash and Alternate Costumes. Pokemon Trainer is back for Super Smash Bros Ultimate. They last appeared in Super Smash Bros Brawl all the way back on the Wii, so there have been quite a few changes made to keep things updated. We’ve detailed everything you need to know below. Just below, you can find the moves of the base version of the Pokemon Trainer in Super Smash Bros. Ultimate. There’s also the Triple Finish Final Smash, where Squirtle, Ivysaur, and Charizard perform an attack together. 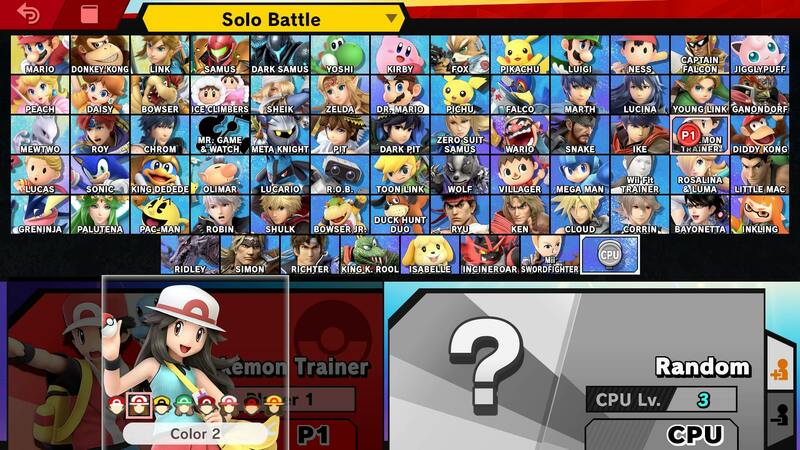 As mentioned previously, Pokemon Trainer hasn’t appeared in Smash Bros since Brawl on Nintendo Wii. As such, they handle a little differently now, and there’s even a female form to choose if you want. Let’s take a look at the changes that Pokemon Trainer has gone through since Brawl. Several animations have been altered including results screen pose, victory, and air dodge. There is now a female version of Pokemon Trainer. Squirtle is the default Pokemon used at the start of a match. Design in general is more to suit Gen 7. There is no longer a Stamina meter. 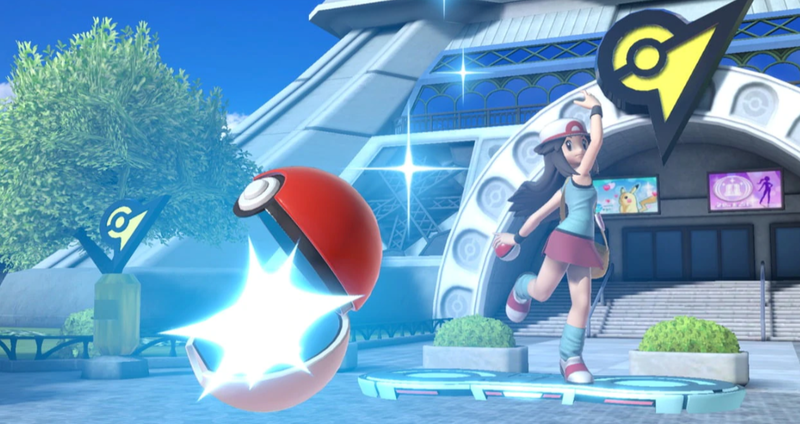 There are several new Alternate Costumes for Pokemon Trainer in Super Smash Bros Ultimate. This includes a female version. The girl has blue, orange, white, and green variants, while the boy has red, orange, black, and blue variants of his default outfit. You can see the female Pokemon Trainer in the image embedded above. 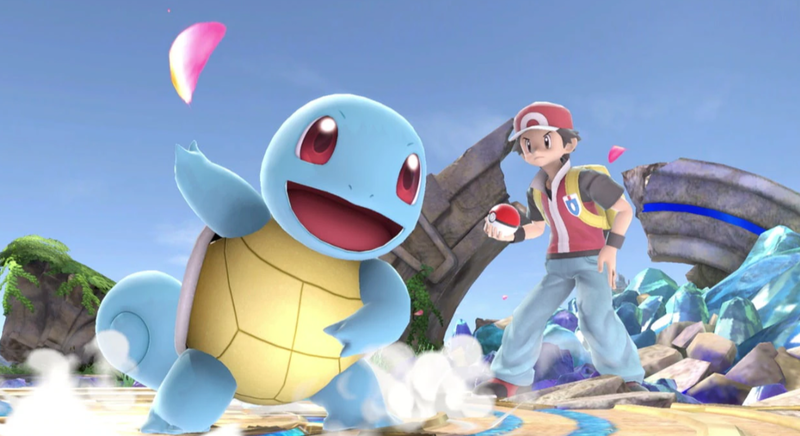 Pokemon Trainer’s Final Smash in Super Smash Bros Ultimate is Triple Finish. It’s the same as was used in Brawl, with three pokemon attacking at once. The move has been updated a little in the jump to Ultimate, in that the text and box that appear on screen are modelled after the generation 7 Pokemon games. We’ll be sure to add some footage to this page once we get our hands on the game ourselves. That’s all the details we know about Pokemon Trainer in Super Smash Bros Ultimate. We’ll be updating this guide with more details as we get them. For more info on other aspects of Super Smash Bros Ultimate, head over to our Super Smash Bros. Ultimate Guides hub. There’s trailers, a look at the Ridley amiibo, and more.